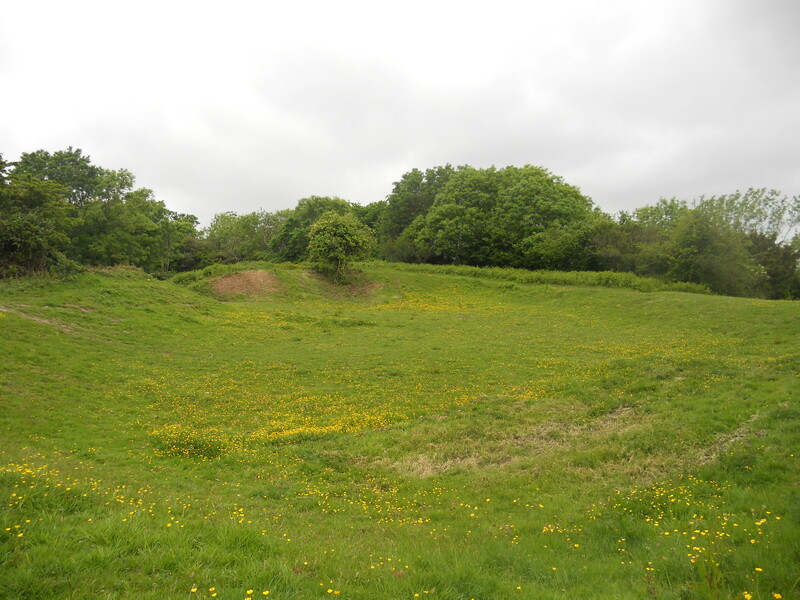 To the north-east of St Mary’s church, within the northeast corner of the Iron Age hillfort earthwork boundaries is an oval medieval ringwork measuring 35 m by 20 m. The oval enclosure is defined by a rampart and ditch with an entrance facing southwest towards St Mary’s church. It is possible that it is an unrecorded castle belonging to the Bishops of Llandaff, probably contemporary with the church. It would probably have had a wooden palisade running around the top of the rampart with a large gatehouse defending the entrance. It was likely to have been the home of an important medieval nobleman and his family.